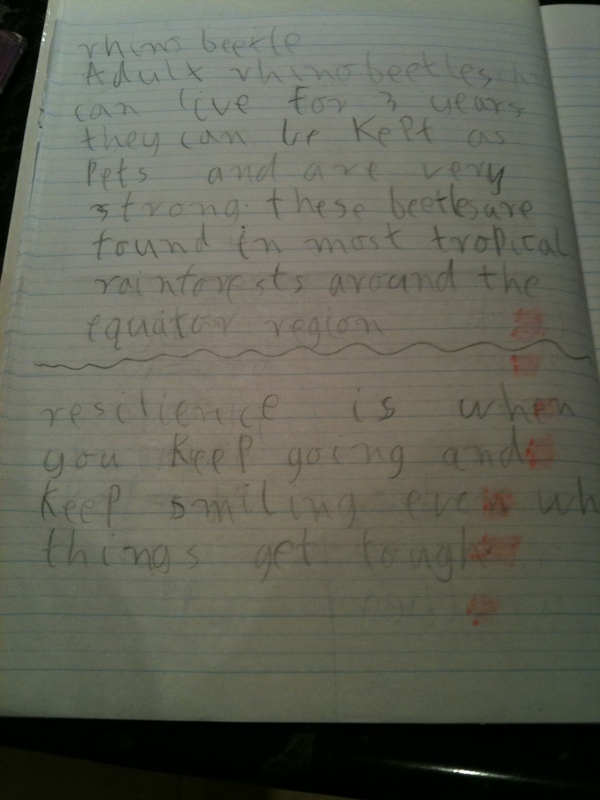 Last week, my seven year-old son, Hayden, had to discuss resilience with the family and come up with a definition of the word for his homework. Resilience is when you keep going and keep smiling even when things get tough. Let me encourage you today, if you are finding life to be a challenge to follow Hayden’s definition. Keep going – Don’t give up on your dreams and don’t let the negativity of others stop you from doing great work. Use any obstacles in your path to strengthen your capabilities and increase your confidence, not to slow you down and diminish your effectiveness. Keep smiling – No matter how tough life gets, there’s always something to smile about. Try to find three things to be grateful for in the midst of your situation, remember the good times and surround yourself with positive, fun people. Doing so will change your perspective and give you the capacity to make it through whatever situation you find yourself in. One of the great challenges of parenthood is to give our children the gift of resilience. Hayden’s only young, so I know that there’s a long way to go yet, but I hope that as he defined the word for himself, that he was able to gain a better understanding of what it means to make it through the tough times that inevitably happen in life. And I hope that we can all learn something from his definition too. What’s your definition of resilience? Wonderful of you to share this from Hayden. My 4.5 year old granddaughter is already practicing resilience in leading the way to more independence for her younger 1.5 year old brother. I rejoice hourly in this child, as I know you do in Hayden. Resilience–smiling and keeping on keeping on! Thanks Rose, our kids certainly are a blessing. Hi Darren, I was happy to come across this post as I recently wrote about resilience and is something we have been working on a lot lately with our ‘not always so positive outlook’ 8 year old. I truly believe resilience plays a large part in how well you do in life not because you will do or have more, but because you will believe you can do more and have enough. Perseverance, perspective and resilience go hand in hand, but I like to suggest that one must practice perseverance fueled by a positive perspective and that will help you build your resilience. What do you think? That’s a great way of looking at it. Thanks for sharing your thoughts and good luck with your 8 year-old.